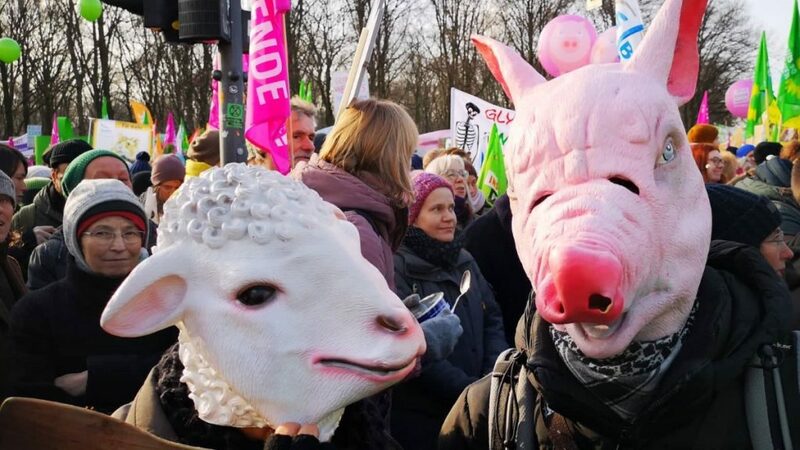 Thousands of people gathered in the city center of Berlin on Saturday, in other to voice their opposition to the way the European Union supports industrial giants on the food market. The protesters demanded sustainability and an environmentally friendly agriculture, and they did so in a resounding way, by creating noise using pots and wooden spoons. 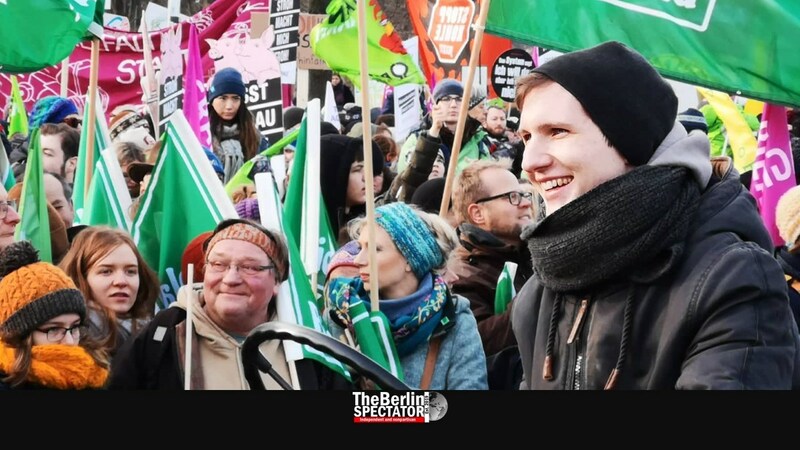 According to different estimates, anywhere between 12,000 and 35,000 participants came to Brandenburg Gate, where speakers called for an agrarian policy which would benefit “our grandchildren”. They were supported by an enormous loudspeaker system. The protest’s organizing committee’s official motto was “We are sick of it!”. Even though the protest was about a climate-friendly approach, the Diesel pollution in Berlin increased substantially, when 170 farmers from all over Germany joined the event in just as many tractors. Before the actual protests march started, they drove their stinking vehicles to the Ministry of Agriculture, where Minister Julia Klöckner and many of her colleagues were attending a conference meeting. The minister’s meeting traditionally takes places during the ‘Green Week’ trade fair, which is ongoing right now at Messe Berlin. The protest is this fair’s traditional counter-event. Some of the organizers handed over a ‘protest note’ to the ministers this morning. Numerous political parties were part of the protest, including The Greens and The Left. But the actual organizers were NGOs. The German Federation for the Environment and Nature Conservation (BUND), was part of them, along with Greenpeace, ‘campact!’ NABU and Christian organizations such as Misereor and Brot für die Welt, but also many smaller ones, including ‘Grannies Against the Far-Right’. Small and mid-sized farms needed to be saved and supported, the organizers said. At this stage huge companies which owned a lot of land received tons of money, they stated. Waiting for a more ecological agriculture was not an option anymore. According to the organizations behind the protest, 100,000 farms ceased to exist in the past ten years, while “foreign investors” purchased more and more land with subsidies from the European Union. While agriculture was the main subject, the protesters also rejected racism and agitation from the growing far-right. Security was not as tight as it usually is for other protests, since the authorities know this one has always been peaceful. Some 40 police officers were present around the U.S., British and French embassies in front of Brandenburg Gate. Others looked at the protest from a distance. The police presence at the ministry was larger.